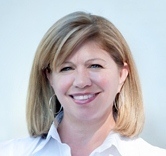 Susanita's Calgary Real Estate Commentary | YOUR HOME FOR CALGARY REAL ESTATE NEWS THAT MATTERS! YOUR HOME FOR CALGARY REAL ESTATE NEWS THAT MATTERS! Does the data support the headlines? The following table shows of Single Family homes sold compared to the available inventory defined as the absorption rate for Single Family homes in Metro Calgary each month since February of last year. The following table shows the absorption rate for Single Family homes in Calgary Metro year over year for the month of February for the last five years. The MLS® Home Price Index (HPI) was launched on February 6, 2012 as part of a nationwide rollout involving boards in Canada’s largest cities because average and median price changes can misrepresent changes in market price. We often refer to the median price as being immune from outliers. However, if there have been large movements in either the low end or high end of the price spectrum, the median is unable to reflect the price changes. The MLS® Home Price Index (HPI) was introduced to provide a better measurement of price and price trends for residential properties. A benchmark home is one that is comprised of a set of specific attributes that is typical for the area where it is located. 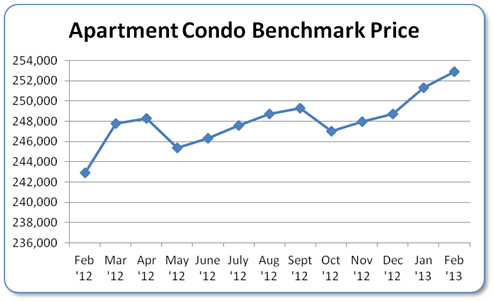 The following table shows the absorption rate of Condominiums in Metro Calgary each month since February of last year. The following table shows the absorption rate for condominiums in Calgary Metro year over year for the month of February for the last five years. One of the best features of the MLS® Home Price Index (HPI) is the separation of the Condominium data into two categories; Condo Apartments and Condo Townhomes. The Calgary Real Estate Board offers a Certified Condominium Specialist designation upon completion of a three day course. Coldwell Banker Your Calgary Home Selling Team offers several Realtors who have earned this designation. The following table shows the absorption rate of Country Residential each month since February of last year. The following table shows the percentage of properties sold compared to the available inventory or the absorption rate for Country Residential Properties year over year for the month of February for the last five years. 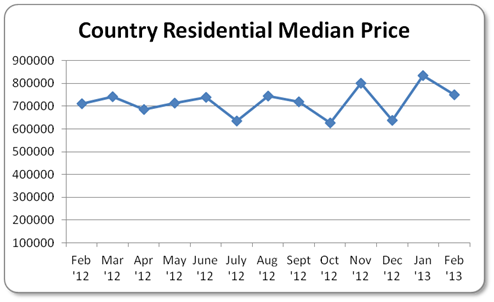 The MLS® Home Price Index (HPI) does not include a Benchmark Price for Country Residential property. 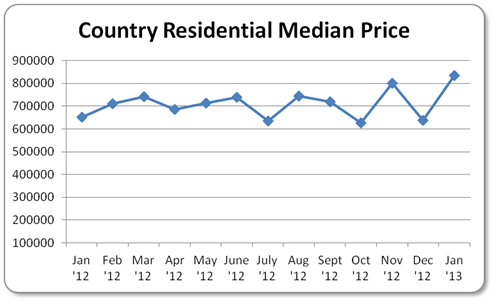 Therefore we will continue to report the Country Residential Median Price. This data shows why it’s so important to look at both demand and supply! Although Single Family sales were down 1% compared to February of last year, because there are far fewer listings, the absorption rate actually went up 4.79%! And even though condominium sales were up a whopping 30.08% compared to February last year the absorption rate only went up 8.48%. The very good news for sellers is that the Single Family, Condominium and Country Residential markets have improved from 2012 to 2013. Calgary, Feb. 1, 2013 – Residential real estate sales in the city of Calgary started the year on a positive note, increasing by 15 per cent over the same month in 2012. Does the data support the headlines? The following table shows of Single Family homes sold compared to the available inventory defined as the absorption rate for Single Family homes in Metro Calgary each month since January of last year. The following table shows the absorption rate for Single Family homes in Calgary Metro year over year for the month of January for the last five years. 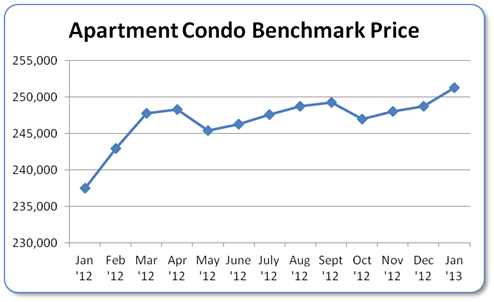 The following table shows the absorption rate of Condominiums in Metro Calgary each month since January of last year. The following table shows the absorption rate for condominiums in Calgary Metro year over year for the month of January for the last five years. The following table shows the absorption rate of Country Residential each month since January of last year. The following table shows the percentage of properties sold compared to the available inventory or the absorption rate for Country Residential Properties year over year for the month of January for the last five years. For those of you who are thinking about making a move in 2013 please review the tables above to see when the highest absorption rate occurs for your market segment. It is impossible to accurately predict future market conditions because of all of the factors that affect our real estate market . 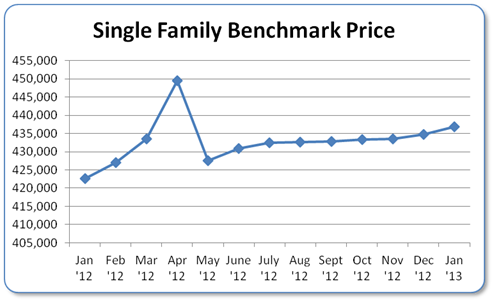 However considering that the absorption rates for the Single Family and Condominium markets are much higher than the beginning of 2012, it is reasonable to expect an even better and earlier Spring market this year. When the time comes we would love to be of service! This report is designed to illustrate that selling a home is a complex, and often intricate process. If you’re interested in more information, please contact Your Calgary Home Selling Team for your FREE HOME EVALUATION. Calgary, Jan. 2, 2013 – Residential real estate sales in the City of Calgary ended the year on a high note, with sales volume up 15 percent in 2012 compared to 2011 and benchmark prices up five percent. Does the data support the headlines? The following table shows of Single Family homes sold compared to the available inventory defined as the absorption rate for Single Family homes in Metro Calgary each month since December of last year. The following table shows the absorption rate for Single Family homes in Calgary Metro year over year for the month of December for the last five years. 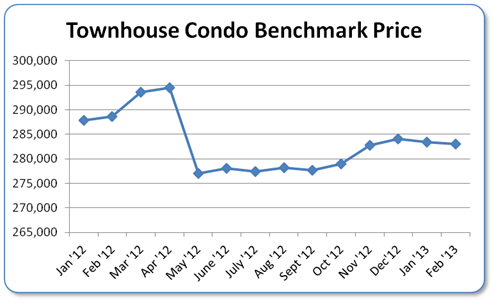 The following table shows the absorption rate of Condominiums in Metro Calgary each month since December of last year. The following table shows the absorption rate for condominiums in Calgary Metro year over year for the month of December for the last five years. The following table shows the absorption rate of Country Residential each month since December of last year. The following table shows the percentage of properties sold compared to the available inventory or the absorption rate for Country Residential Properties year over year for the month of December for the last five years. For those of you who are thinking about making a move in 2013 please review the tables above to see when the highest absorption rate occurs for your market segment. Because of all of the factors that affect our real estate market it is impossible to accurately predict future market conditions. 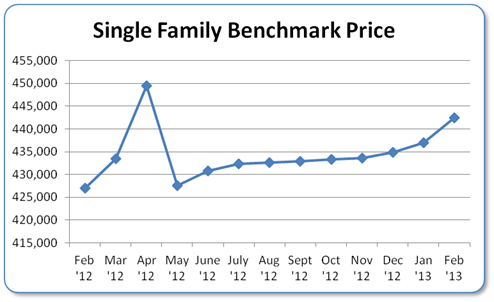 However considering that the absorption rates for the Single Family and Condominium markets are much higher than the beginning of 2012, it is reasonable to expect an even better and earlier Spring market this year. Does the data support the headlines? The following table shows of Single Family homes sold compared to the available inventory defined as the absorption rate for Single Family homes in Metro Calgary each month since November of last year. The following table shows the absorption rate for Single Family homes in Calgary Metro year over year for the month of November for the last five years. 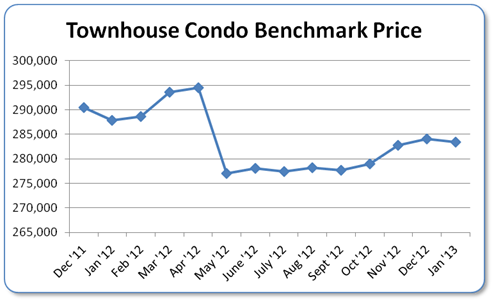 The following table shows the absorption rate of Condominiums in Metro Calgary each month since November of last year. The following table shows the absorption rate for condominiums in Calgary Metro year over year for the month of November for the last five years. The following table shows the absorption rate of Country Residential each month since November of last year. The following table shows the percentage of properties sold compared to the available inventory or the absorption rate for Country Residential Properties year over year for the month of November for the last five years. As predicted the increased sales activity continued well into November which is reflected in the slight increase of the absorption rate in both the Single Family and Condominium markets. While December is traditionally our slowest sales month, those who are looking at Real Estate in December are usually very serious Buyers. In addition many corporate relocations occur at the end or beginning of the year. For those of you who are thinking about making a move in 2013 please review the tables above to see when the highest absorption rate occurs for your market segment. Because of all of the factors that affect our real estate market it is impossible to accurately predict future market conditions. However considering the above data, it is reasonable to expect a similar market next year.